Holy cow! You had your own personal read-a-thon this weekend! I never thought of it like that, but you’re right, Kathy – I guess I did! Ditto what Kathy said, LOL. You did have a personal read-a-thon this weekend and I’m glad you were able. It’s not often you get that kind of luxurious downtime. BTW, have any interest in reading (or, rather, listening to) Strange Brew? 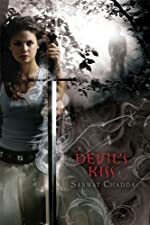 It’s a compilation of stories by various adult urban fantasy authors. I know – it kind of took me by surprise and I just dived right in. I don’t often read short stories, but this compilation does sound interesting. Good narrator? Those sound like perfect books for an unexpected readathon – fantasy worlds you can dive into and lose yourself! For me, the trouble with those is that then going back to “regular” fiction seems so mundane! It’s like, I suppose, spending the week at Disney and then coming back and having to do laundry, dishes, etc! .-= rhapsodyinbooks´s last blog ..Women’s History Month: What Did Susan B. Anthony Read? =-. I think that’s why I did a “splurge” of urban fantasy reading – I came up for air, wanted more, and dived into another one! I hope you enjoy the rest of Inkheart. I was expecting a really weak plot and cookie-cutter characters and was genuinely surprised by that book. The sequel, Inkspell, was even better. .-= Melissa´s last blog ..Book List: 3 Books That Take You Down Memory Lane to High School =-. It’s definitely a good read. I’m glad to hear the sequel’s even better! 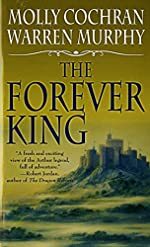 If you like The Forever King, you HAVE to read The Broken Sword–one of my favorite books! I really want to read The Broken Sword! It’s out of print, too, so I have it listed in Bookmooch right now but I think my next online book shopping spree, I’ll buy it used. It sounds like it will be so good. I did hear, though, that the third one, which was written by only one of the authors, wasn’t nearly as good – have you read that last one? Yup, I ran out and bought it as soon as it came out. It really wasn’t as good–it just seemed like there was a spark missing. Also, I really wanted a happy conclusion to some of the story lines in Broken Sword, and that didn’t happen. It was okay, but not as good as first two. I haven’t read any of these so thanks for the heads up. 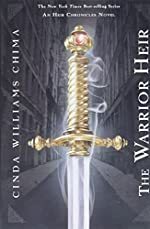 The Warrior Heir (plus the sequels) and Devil’s Kiss sound right up my alley. I just have to get through the rest of the Thursday Next books first…..
.-= Steve´s last blog ..Pyrography, aka, The Art Of "How Cool Is That?!?!?" =-. 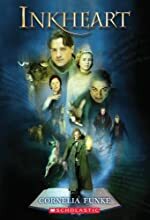 Do read the second book in the Inkheart trilogy — It was wonderful! The third book, not so much. I picked up The Warrior Heir a few months ago, but haven’t read it. .-= Beth F´s last blog ..Review: Taroko Gorge by Jacob Ritari =-.